VIEW FROM THE TOP. Millionaire’s Row, along with tall skyscrapers from the Victoria’s peak vantage point. These buildings look better at night, but the chilly weather at the Peak is a challenge that nighttime visitors must contend with. Hong kong is a wonderful city. Its no wonder is a great start up destination for travelers seeking to see the world. I for one, first visited HK with my mom in 2006 and it was just so great that I just had to come back again, and again, and again, especially to my favorite place on earth — Disneyland. For first timers though, here are some awesome tips on how to maximize your adventure. By the way, I’m reposting this entry from my http://www.budjetsetter.wordpress.com account as I’m having trouble maintaining two blog accounts. Tip #1. Set an itinerary. HongKong is a travelers’ dream. There is something for everybody. If you are a child at heart, it is a wonderland of theme parks such as Disneyland (I’ve been there 5 times and I’m pretty sure I’ll be back for a sixth visit), there’s also the Ocean Park and the newly minted Noah’s Ark. If you’re a shopper, there’s the Ladies Market in Mongkok, Temple Street in Jordan, Stanley Street and a myriad of shopping locations in Central. 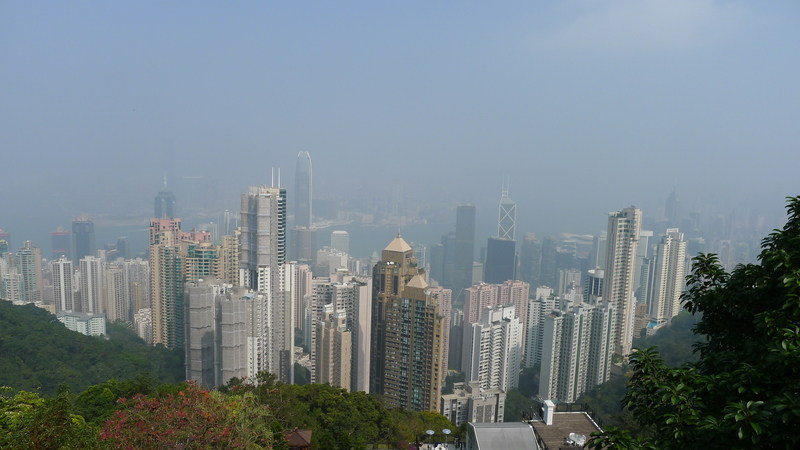 If you want views, there are plenty like Victoria’s Peak, where Madamme Trussaud’s Wax Museum is at. There is also HK’s version of the Walk of Fame better known as the Avenue of the Stars, the Clock Tower, The Giant Buddha in Lantau Island, hiking trips, and a lot more, which leads me to #2. Tip #2. Prioritize. Figure out what you want to do and set aside enough money to enjoy your trip, well, as much as your budget can allow. For example, it is cheaper to shop at Temple Street than the Ladies’ Market although the latter is more popular. But you’ll get pretty much the same assortment of items. If you want to visit theme parks, and you’re on a tight budget, figure out if you want to go to Ocean Park (which is relatively cheaper but has cable cars, an aquarium, the Abyss and a mean roller coaster) or Disney (with world class shows, parades, fireworks, but rather kiddie level rides in terms of thrills. I’m not knocking Space Mountain though because it rocks). Your call. Tip #3. Learn to commute. You would save a lot of money if you know how to use public transport, so the first thing you need to do is get a hold of a subway map at the airport. HongKong’s MTR is a very convenient way to access major locations. It also does not hurt to carry around a map to navigate the streets of this busy tourist destination. Buses are also fairly cheaper than the airport axpress (MTR) or taxis from the airport. Ask their tourism desk how to get to your hotel through a bus and the staff are generally open to such questions. In our experience, we saved roughly HKD $45 per head by travelling by bus, plus our hotel was just a minute walk off the bus stop. Tip #4. Choose your hotel wisely. There are a lot of apartment buildings converted into inns along the Tsim Tsa Tsui district and it is fairly cheaper than staying at a hotel. The downside for group travelers is that they are often small and cramped. If that’t okay with you, then there would be no problem, but if you are unsure, it is advisable to book for one night only (as these inns often have a no refund policy) and look for a more preferable location in the morning. When booking, (I often book through http://www.agoda.com) it is also advisable to check out visitor reviews. Look at the convenience of locations (choose ones nearest to the MTR) as it would help you a lot in navigating the city. Tip #5. Invest in a good pair of shoes. Expect to walk a lot when taking in HongKong, so having on a comfortable pair of sneakers or sandals is always a good idea. Tip #6. Learn when to visit. Hong Kong has a major draw for every type of weather but if you want to visit Disneyland for example, it is not advisable to go there during the rainy season. Instead, during the months of June and July (rainy), they have major sales which is a boon for shoppers. During the summer, the heat might put a damper to your enjoyment. We often visit during the first quarter of the year when the weather is fairly cool. A light jacket often gets us through. Tip #7. You’re on vacation, rest. It is true that HK has a lot to offer but you don’t have to fill every waking moment with an activity. Chill out, sleep well, eat well and enjoy your trip. Tip #8. Haggle. When shopping in the street markets, learn to haggle. You would notice that once there, the attitude of some merchants could use some work, some even on the verge of harassing the customers and making exclamations in Cantonese that is often rude once a customer backs out of a purchase but it all comes with the territory. Stand your ground, learn to haggle only on the items that you are sure of purchasing. Don’t buy straight away. Learn to compare prices and stand your ground. Don’t feel pressured to buy anything you don’t want. Tip #9. Learn to spot a scam. During our first visit to HK, we were warned by our tour guide to keep a careful watch of scams for big ticket items such as electronics as some unscrupulous traders pull the switch on your purchases. Be sure to check out the shop, get a receipt so you could inform authorities of a scam. Tip #10. You can’t finish HK in 4 days. This is the sad truth for travelers who want to breeze through HK in a span of four days. Hong Kong is a city that is meant to be enjoyed, and that is the reason why it is a leading tourist destination. You are meant to come back. Tip #11. Mothers know best. And finally, no matter how seasoned a traveler you have become, you can still learn a thing or two from your mother. When I travel with my mom, preparations are a breeze for me because she thinks of everything. During our last trip in HK, I was as sick as a dog the second day of the trip. Good thing she brought medicine that somehow got me through our four day trip. If it were left to me, I would not have thought of that because I never got sick while traveling. So mom saved the day for me, right there. I hope this selection helps you as you journey through the tourist wonderland that is HongKong. Feel free to shoot questions in the comment section below.